Gaps exist in carriers’ digital transformation strategies, and consumer and organizational needs are not being met. Boston, July 10, 2018 – While insurance carriers have been working toward digital transformation, they are challenged to create a complete digital strategy—a strategy that encompasses not only the insurance carriers’ needs but also the consumers’ needs. The fact is that “digital” means different things to different people, regardless of whether they are thinking as a consumer or as an individual in the insurance industry. These perceptions play a significant role in ensuring successful digital transformation and have proven to be a barrier to developing and implementing a strong digital strategy. With digital transformation at the heart of each insurance organization and the focus of improving the customer experience, this Impact Note brings together the different meanings from the consumer and the insurance organization perspective. 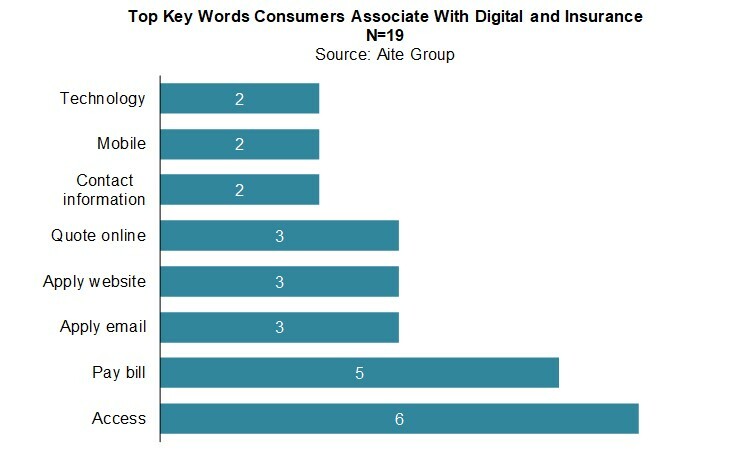 It is based on email communications and face-to-face interviews conducted in May and June 2018 with 37 individuals in the insurance industry and 19 consumers in the United States. This 19-page Impact Note contains seven figures and two tables. Clients of Aite Group’s Health Insurance, Life Insurance, or P&C Insurance service can download this report, the corresponding charts, and the Executive Impact Deck.